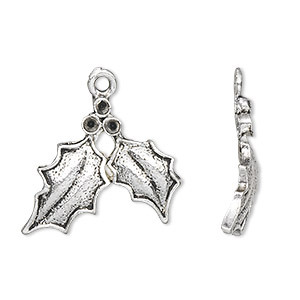 Charm, antique silver-plated "pewter" (zinc-based alloy), 25x19mm single-sided holly leaves with (3) PP15 settings. Sold per pkg of 10. 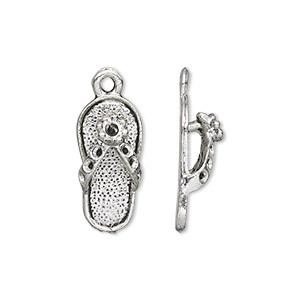 Charm, antique silver-plated "pewter" (zinc-based alloy), 20x9mm single-sided sandal with (6) PP9 and (1) PP15 settings. Sold per pkg of 10. 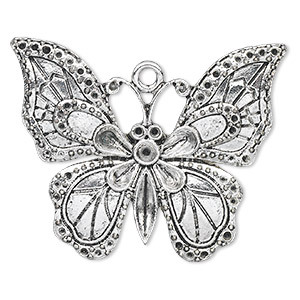 Focal, antique silver-finished "pewter" (zinc-based alloy), 51x41mm single-sided butterfly with (1) PP32, (2) PP15 and (40) PP6 settings. Sold per pkg of 2. 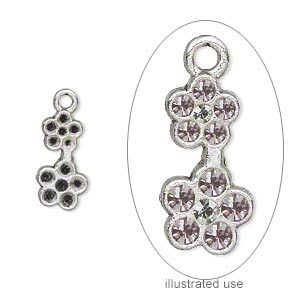 Charm, antiqued silver-plated "pewter" (zinc-based alloy), 15x7mm single-sided flowers with (6) PP15, (5) PP18 and (1) PP10 settings. Sold per pkg of 20. 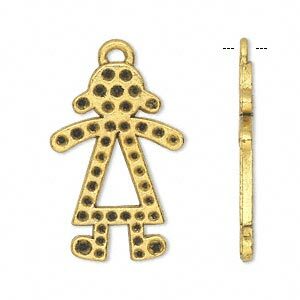 Charm, antiqued silver-plated "pewter" (zinc-based alloy), 29x16mm single-sided boy with (35) PP10 / (7) PP15 / (2) PP18 settings. Sold per pkg of 10. 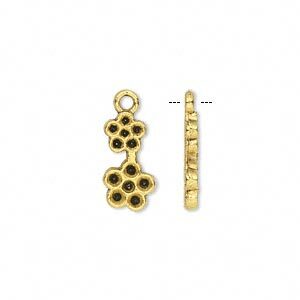 Charm, antiqued gold-finished "pewter" (zinc-based alloy), 15x7mm single-sided flowers with (6) PP15, (5) PP18 and (1) PP10 settings. Sold per pkg of 20. 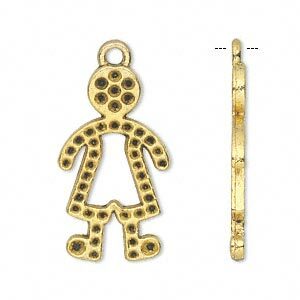 Charm, antiqued gold-finished "pewter" (zinc-based alloy), 29x19mm single-sided girl with (28) PP10, (7) PP15 and (6) PP18 settings. Sold per pkg of 10.